This particular exploration of Raga Bahar remains one of Panditji’s favorite pieces that he has sung in his long career. The Vilambit Bandish “Nai Rut Nai Fuli” is a traditional composition and perhaps he ahs sung this only once in his entire lifetime. This was sung at a private baithak in Mumbai in the late 1980s at the residence of the late Mahendra Khimji who revered Panditji. This rendition of Bahar is once again an example of Bhimsenji’s personal eclectic approach to his music which encompasses all the prevalent gharanas. His exposition of Bahar in this concert is akin to a sutradhaar describing the advent of spring and the joy it brings to the onlooker. This is one of the greatest interpretation of this seasonal melody. Recorded in Mumbai around the early 1960s by captain Kanade this Thumri in Mishra Khamaj exemplifies Panditji’s mastery over the emotive element the predominant facet in thumris of the Kirana style. Sung in a serious classical manner the Thumri of the Kirana Gharana is different in approach from other styles of other Gharanas which emphasize the playfulness and intermingling of rhythm and notes with an accentuation on the poetic element of the composition. Panditji’s dulcet voice immerses you in the pristine emotion of longing and anxiety for the beloved in this particular bandish. His singing brings out the deep rooted love he has for the thumri ang. Acknowledged as a genius one who is god’s own creation Pt. Bhimsen Gururaj Joshi was born in the quaint district of Dharwad, Karnataka. Deeply influenced by a recording of Abdul Karim Khan the great master of the Kirana gharana Panditji began his tutelage under Sawai Gandharva who himself was a pupil of Abdul Karim Khan of 10 to 12 years. Relentless and vigorous this training added a luster and brilliance to his naturally tuneful voice that has dazzled the entire world for decades now. The legacy of his Guru’s rich and rare musical treasures and Panditji’s constant quest for newer domains has helped him develop his own distinctive style excelling in gamakar meend and tanakriya and adapting interesting characteristics from other gharans. A style that without losing the sensitivity to the mood and nuances of a particular musical piece intersperses it with rapid tans that glide through all the three saptaks sending the listeners into raptures. Blessed with an amazing understanding of the soul of the Swara and Raga and developing mastery not only over the Khayal idiom but also over Thumri he remains at the zenith as the most popular and dedicated artist in the realm of Hindustani Shastriya Sangeet. Of the opinion that a thumri is more complex than the khayal he spent a lot to time in understanding the intricacies of this form. His quest for perfection in music led him to Lucknow in the early forties where he spent a year just listening to thumri singers like Begum Akhtar, Siddheshwari Devi, Rasoolanbai and more. He earned his first platinum disc in 1986. He has been honored with the Padma Shree in 1972, the Sangeet Natak Akademy Award in 1976 and the Padma Bhushan in 1985 for years Pandit Bhimsen Joshi led the renaissance of Indian classical music with passion and utmost dedication Despite changing times he has steadfastly adhered to Khayal-gayaki even while striving to strike a balance between the yesterday and today. Unsung Ragas is yet another exemplary presentation of the magnificence of Pandit Bhimsen Joshi’s abundant devotion to the subject. It is a manifestation of the great inherent spirit that he has exhibited throughout his life. 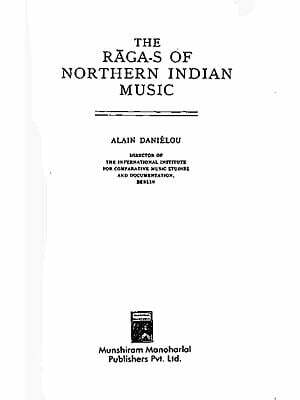 A masterpiece in itself, Unsung Ragas is a collection of ragas and some raga-bound compositions that he has not recorded ever before. His boundless creativity and his total being saar to infinite heights of fulfillment as he unleashes his talent in these recordings filling everything with a sense of oneness with the elusive ultimate peak of Naad Brahma the quintessential state of bliss for which every musician strives. Here is a divine miracle for whom the word phenomenon in an understatement.